Belize is emerging as a significant player in the overseas real estate market. The small Latin American country is welcoming more North Americans every day, with an influx of expatriates, retirees, and investors who invest in Belize. Some are seeking a higher level of privacy, most want to live some place safe, where English is spoken, and where they can also access great medical care. More United States citizens are leaving the country than ever before, with much of the same trend coming from Canada as well, and even Great Britain. Many visitors to Belize are deciding to call the country home and take up residency, while others still are looking to purchase second homes as an ideal location to get away from winter weather or simply enjoy the tropics for some duration each year. A veritable haven for portfolio diversification, Belize offers tax incentives, investment incentives to invest in Belize, and exceptional offshore banking, all within short distance from the U.S.
Real estate ownership in Belize can be a beneficial investment when done right. As with ownership of any real estate across the globe, there are necessary costs related to taxes, maintenance, and management, among others. One thing that makes a lot of sense even before beginning your real estate purchase is to open a personal savings account in Belize. Access to foreign currency is vital to be able to pay the costs of ownership easily. A bigger picture way to manage costs and ease the burden of taxation is to purchase real estate under the heading of an Offshore Self-Directed IRA LLC. These structures are very easy to establish in Belize, and U.S. IRAs can be transferred easily as well. The benefits of ownership under these legal entities includes paying fewer fees, and being subject to less taxation on capital gains, thus earning greater profits from the Belize real estate investment. The use of offshore trusts to invest in Belize is also an effective strategy for real estate ownership and investment. Trusts can protect assets from legal proceedings, and serve as a tool for estate planning. Offshore trusts and transactions made by them are entirely secure from government intervention, and will always remain private. A trust can be used to protect all different types of assets, including cash, stocks, and real estate. By placing assets such as these in an offshore trust, they are technically removed from your disposal, which lifts the burden of state and federal taxation, which can be a significant drain for investors with accumulated wealth. Since passage of the Trusts Act of 1992, Belize has continued to hold vast appeal for savvy investors interested in establishing an offshore trust for the reasons of wealth preservation and protection. Note, that this is not some way to evade US taxes. Consult a tax advisor to learn about specific reporting requirements. Actual property taxes are super low in Belize, and the country has no tax treaties currently in place with US or Canada. Belize is FATCA compliant, meaning tax records can be shared with the IRS only through official procedure. Belize also has standard anti-money laundering laws in effect, which require banks to report suspected money laundering. 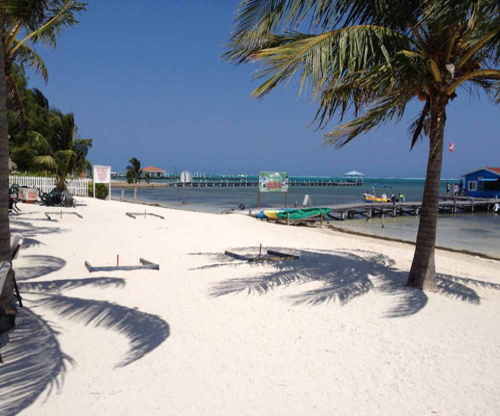 Property in Belize can offer a slice of paradise without excessive expense. On the popular island of Ambergris Caye, which is about 25 miles in length and one mile wide, there is hardly a location that is not ‘beachfront.’ Even off-beach properties are only minutes from the Caribbean Sea and in close proximity to San Pedro Town, home to a variety of local businesses and cultural hub of the island. The best developers on Ambergris Caye source quality building materials, and design modern, efficient, and community-centric housing to serve the standards of middle-class retirees and the thriving tourism industry alike. Go here to see some Ambergris Caye real estate listings. We all want to make informed decisions when it comes to investment. Planning is essential for wealth preservation, and for owning real estate anywhere. Thorough investigation of location, financial services and institutions, properties, and lifestyle is a sure bet to knowing your risks and opportunities when it comes to investment. Conducting this ‘due diligence’ can benefit buyers in an untold number of ways. There is no shortage of developers outside the U.S. who will succumb to the option of taking shortcuts in planning and building. By making the trek to your desired destination and personally meeting and setting foot on the property, you have the opportunity to observe the quality in construction and determine answers to things many buyers are not used to even asking, such as; is there a reliable hot water system in place? What about other amenities that come standard in the U.S.? Does the property feel safe and secure? How well is infrastructure integrated and operated? These can be much bigger considerations outside the U.S., and should be considered essential to planning your investment. If you already know you would like to retire to a tropical island, a strong lead-in to eventually making the move is buying property now that can serve as a means of income until you move in yourself. For example, a married couple in their forties might choose to purchase a beach home in Belize. Using the property as a vacation spot for years to come, and choosing when to stay and when to rent the property, they maximize their income and offset their own costs for regular holiday getaways. By the time retirement rolls around, they will have a home waiting for them in their dream destination. Offshore trusts can be important planning tools. Trusts can protect much more than your standard bank account, including precious metals, shares of a company, and of course, real estate for lengths of time that can extend beyond your lifetime, if you choose, to preserve wealth for future generations. By purchasing real estate under the heading of an offshore trust, you can accomplish a substantial decrease in property tax, income tax and capital gains tax. As mentioned earlier, setting up an Offshore Self-Directed IRA LLC can be a planning tool as well. By using your retirement account to invest in Belize real estate, you can defer US tax on both rental profits and capital gains. By moving your retirement account into an offshore LLC, away from its current custodian, you can invest that account in foreign real estate. The LLC will be owned by the retirement account and hold investments on behalf of that account. The rental property is under the name of the LLC, operating expenses paid from the LLC, and profits directed into the LLC, and into your retirement account. This setup must be abandoned, however, once you intend to occupy a property, rather than offer it to the rental market. Before moving in yourself, the property must be distributed from the retirement account, which can include taxation. An attorney will typically represent the buyer along with a Belize buyer’s agent, throughout the buying process. The lawyer will conduct a Title search at government land registry, and submit the application for Title as part of a closing. Fees for these steps are usually covered by the attorney’s fee. Taxes are paid at the closing as well, including the standard 5% ‘stamp’ transfer tax. The 5% is calculated based on the purchase price, above USD $10,000. Retirees who intend to move to Belize should know about Belize’s impressive QRP, or Qualified Retired Persons act. Among other benefits, he QRP allows tax and duty-free importation of all your household and personal goods, which could otherwise practically be taxed too heavily to hold any value through importation. This includes major-expense assets like cars and boats. This can help make the move into your new home easy and smooth. In fact, the buying process itself is easy and smooth, as long as you have done proper planning and due diligence, and you know your developer and the property you are buying. An educated buyer is a happy owner. ECI Development offers a free Consumer Resource Guide to invest in Belize, which explores many of the topics addressed in this article in further detail, and reflects almost two decades of real estate experience in the region. To request it, click here.